Brewer Description: (from can) Double milk stout brewed with lactose sugar and cocoa nibs, with cinnamon & sea salt added. Intro: A 1 pint can, canned on 14th December 2017. Poured into a Lost Abbey teku glass. Appearance: It was black in colour with a one finger brown head that had pretty good retention but left only sparse spotty lacing. Aroma: Lots of roasted malts, chocolate, cocoa and coffee. Taste: Roasted malts, chocolate, cocoa, coffee and cinnamon. Lightly sweet and lightly bitter. Overall: I didn’t get much cinnamon in the aroma, but it came through nicely in the taste. I’m also not so sure about the sea salt as I just didn’t get that at all. Nevertheless, there was some nice roastiness that balanced the light sweetness and made it great and easy to drink. Brewer Description: Not much information I could find on this beer, but I assume Cashmere hops were used. 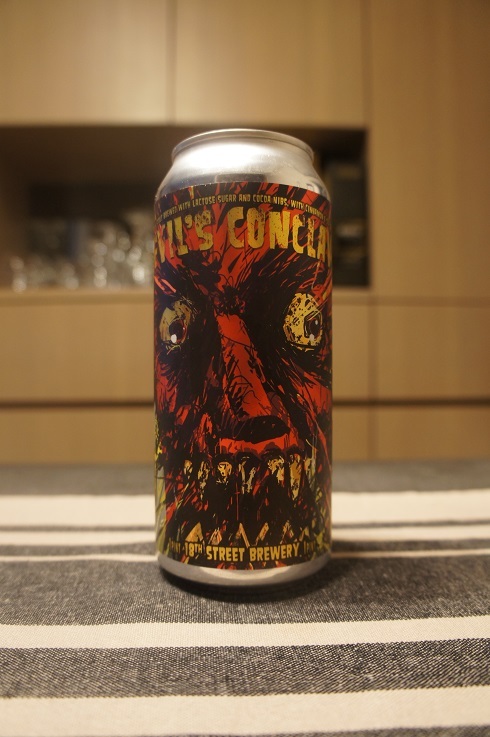 Intro: A one pint can, canned on 26th December 2017. Poured into a Lost Abbey teku glass. Appearance: A very lightly hazy golden orange colour with a two finger white head that had decent retention and left some nice lacing. 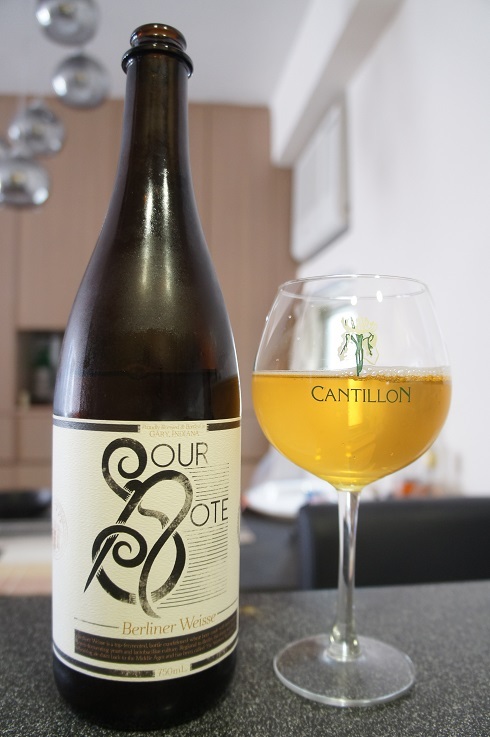 Aroma: Sweet pineapple coupled with citrusy grapefruit rind, pine and a light floral character. Taste: Light bitterness, citrus rind and peel, melon, mandarin, lemon/lime and pine. There’s some light sweetness and floral on the finish. Overall: Nice and easy to drink. Delicate, yet aggressive, sour beer is the culmination of great patience, immaculate attention to craft, & an immense amount of labor. Just as many find great beauty in the acerbic, tart, & earthy overtones of a great sour, we also find the same beauty in our hometown of Gary, Indiana. 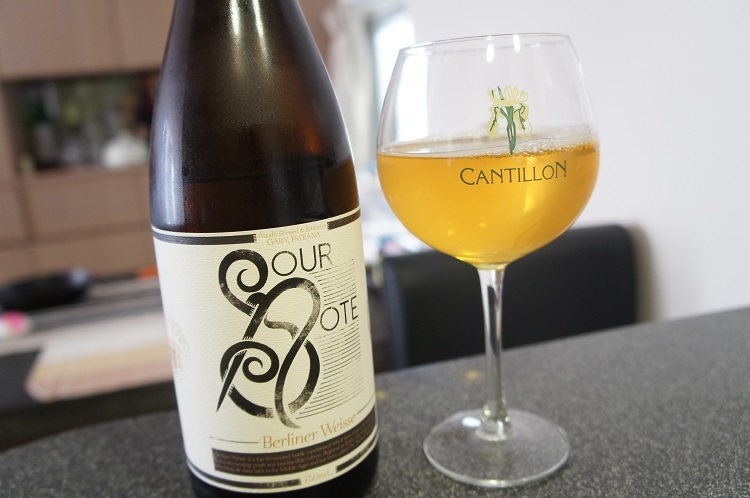 Intro: A 750ml bottle with no best by or bottled on date poured into a Cantillon ballon glass. Appearance: It poured a clear golden yellow colour with an extremely thin white head that disappeared almost immediately with little lacing. Aroma: Tart apple and lemon with a hint of grass and wheat. 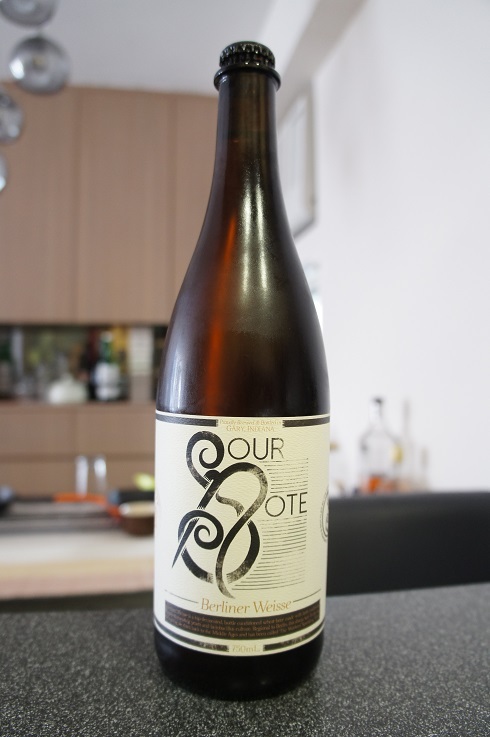 Taste: Like the aroma, sour and tart lemon and apple with a hint of mango, grass and wheat. Overall: Simple but extremely refreshing considering it’s 34 degrees outside. 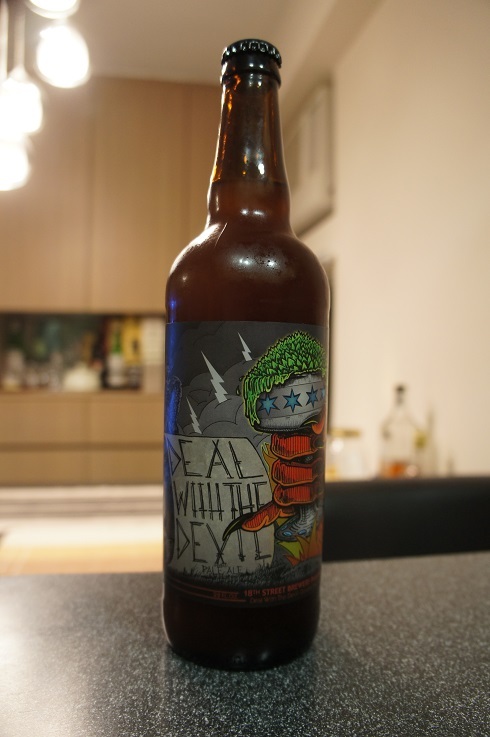 It’s printed on the bottle “we do not recommend cellaring of this beer”, and I did not intend to, but I estimate it’s maybe got a year on it, but in good conditions. 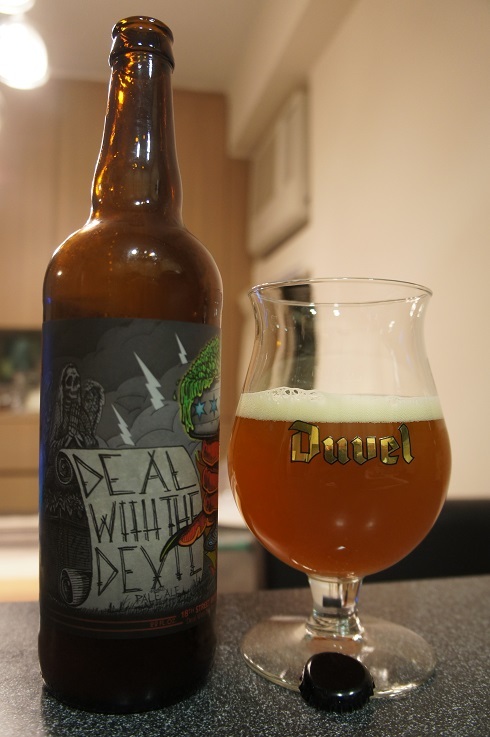 Brewer Description: (from bottle) Brewed as a salute to our brothers at Spiteful Brewing, Deal With The Devil is packed with Citra hops. 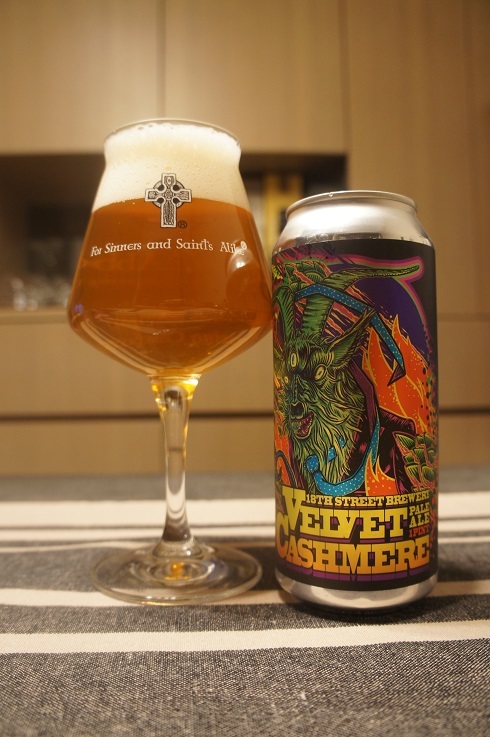 It is a juicy pale ale that’s low in bitterness and huge in tropical flavors. Intro: A 22 fl oz bomber with no best by or bottled on date. Poured into a Duvel tulip glass. Appearance: It poured a hazy deep amber orange colour with a one finger cream coloured head with decent retention and nice spotty lacing. Aroma: Strong citrus notes with orange and grapefruit rind combined with lots of pine and caramel sweetness. Taste: Orange, approaching candy orange, with a good amount of grapefruit zest, pine and caramel sweetness. Mouthfeel: Just over medium bodied with moderate carbonation. 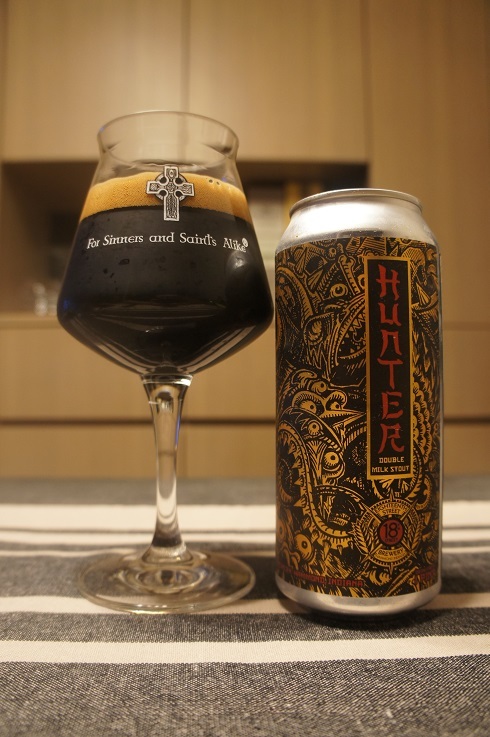 Overall: For some reason, I had it in my head that this was going to be like pseudoSue or Zombie Dust, but this was completely different and not in a bad way. 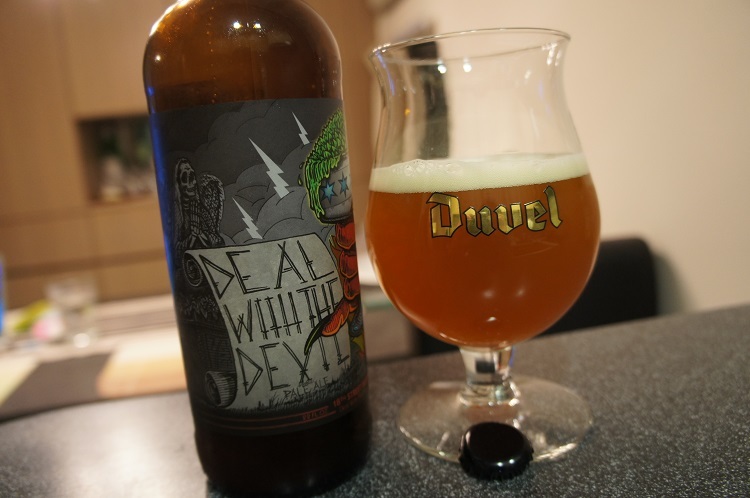 Deal With The Devil was still a great pale ale with a good balance between citrus fruit and malt.